The Neve Portico 551 500-Series Inductor-EQ is unique in that it is the only 500-Series EQ designed by Rupert Neve himself. The components include custom-wound inductors, transformers and class-A gain blocks alongside a Neve prized vintage 3-Band EQ. 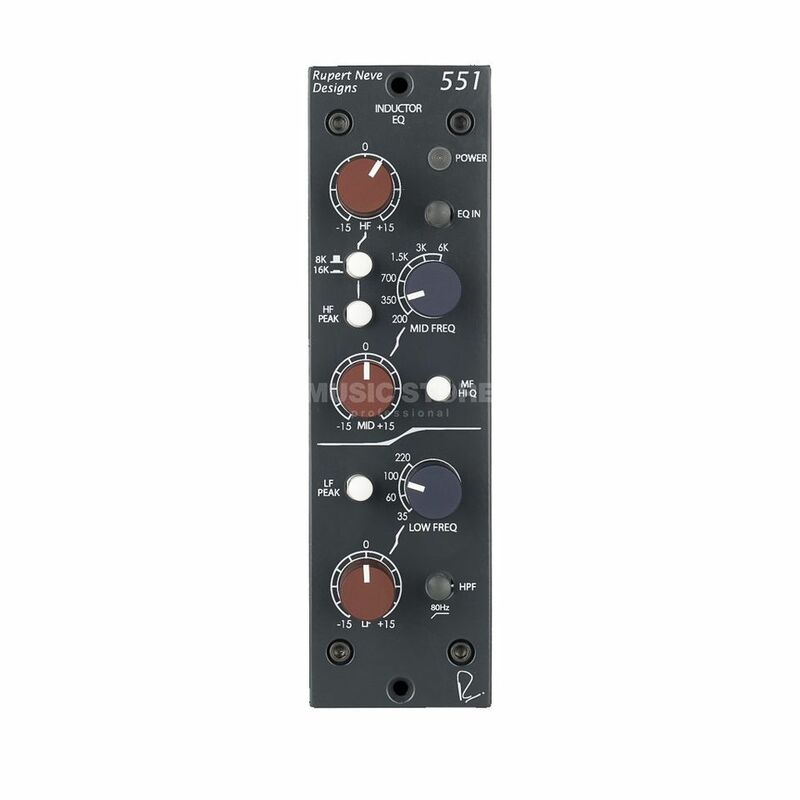 Dense low-end and crystalline highs make the 551 a must-have in any 500 series rack module.